Last week we exhibited at Build Show 2017. 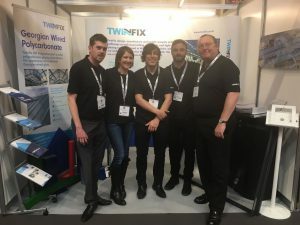 The event attracts thousands of construction professionals to Birmingham’s NEC, who are looking for products and services to boost their businesses and enhance their projects. We were delighted to welcome some of the visitors to our stand and have the opportunity to chat to them about what we have to offer. It was a very busy, but thoroughly enjoyable and productive few days and we can’t wait to do it all again next year! What better way to end the week than with a cup of tea and a slice of cake? Well done to our master bakers for producing such tasty treats and a big thank you to everybody who came along and helped to make the day such a success. 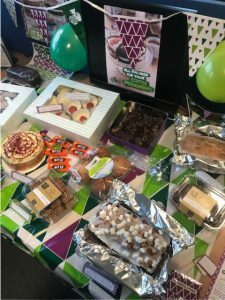 A whopping £169 was raised for MacMillan Cancer Support, a worthy cause.